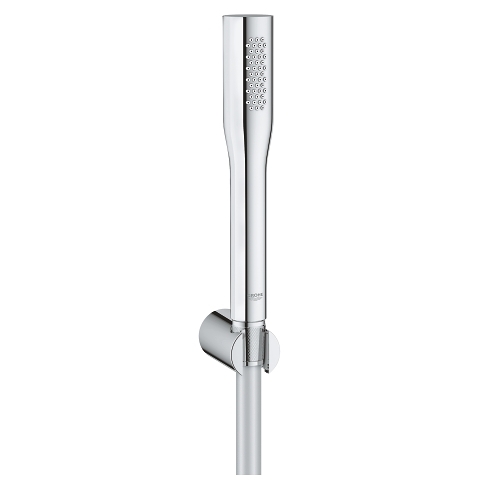 Measuring a discreet 215mm in length, Euphoria Stick Cosmopolitan features GROHE DreamSpray technology – for efficient water distribution to each of its 45 nozzles – and GROHE CoolTouch technology which ensures the handle never gets too hot. GROHE StarLight chrome and SpeedClean nozzles guarantee perfect looks and a perfect showering experience. 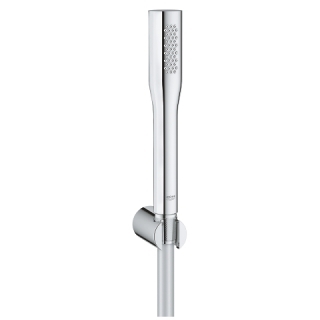 For effortless water saving, Euphoria Stick Cosmopolitan is also available as part of the GROHE EcoJoy range with a maximum flow rate of 9.4 litres per minute.